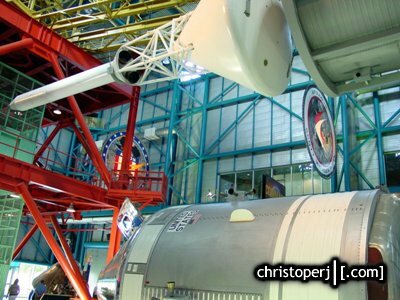 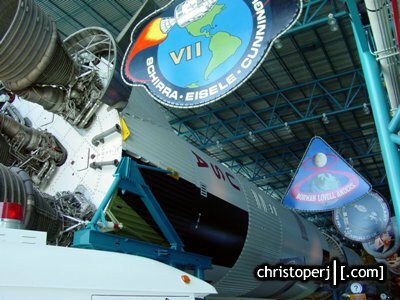 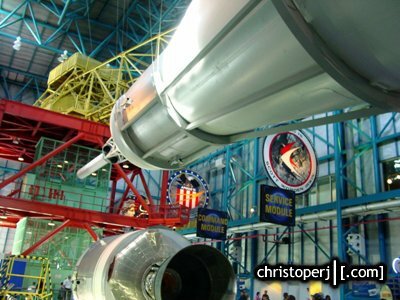 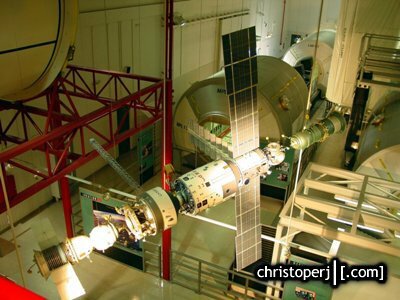 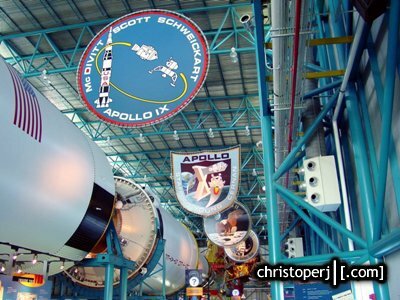 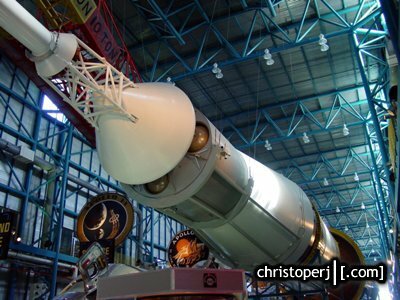 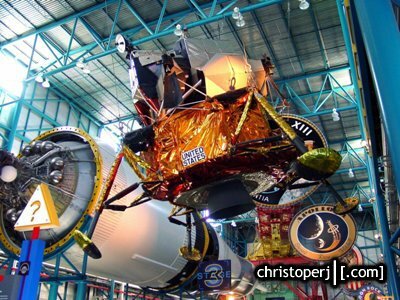 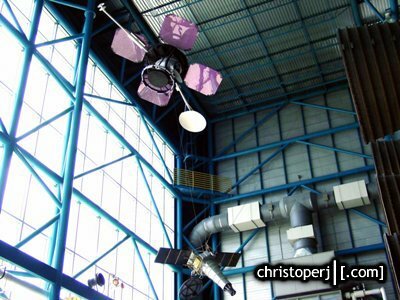 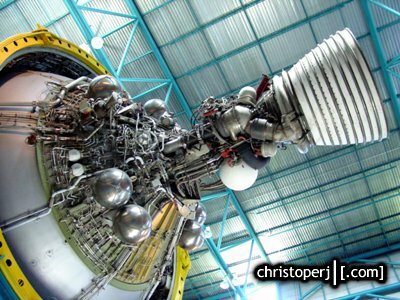 Kennedy Space Center maintains an indepth museum onsite with exhibits from the history of the space program. 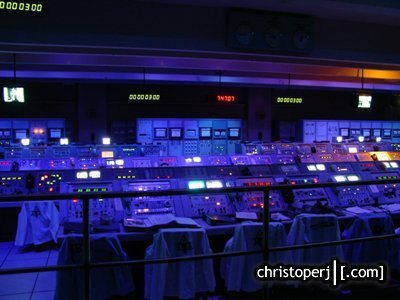 The guide told us that they hired contractors from Disney (seriouslly) to help design the tour -- and it showed. 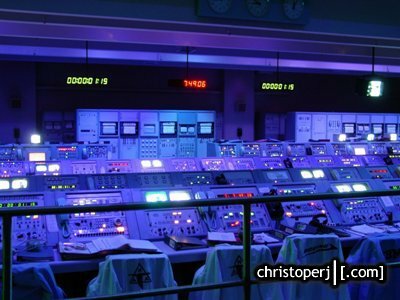 Worth the nickle, though. 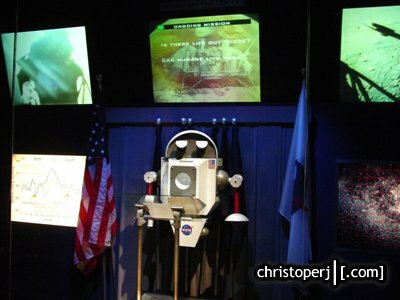 This was a talking robot that went through the various unmaned space probes that NASA has sent up over the years. 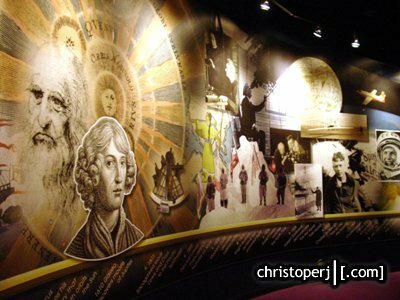 . .
. . .a wall of explorers throughout the years. 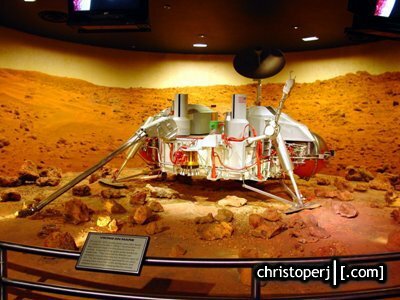 . .
. . .a display of the Mars Viking missions. 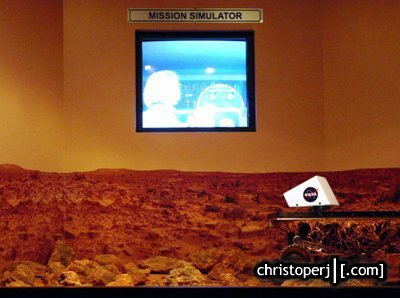 . .
. . .a display of the Mars Pathfinder mission. 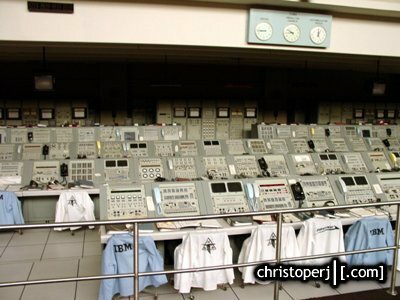 . .
. . .a mockup of the 60's era Launch Control facility. 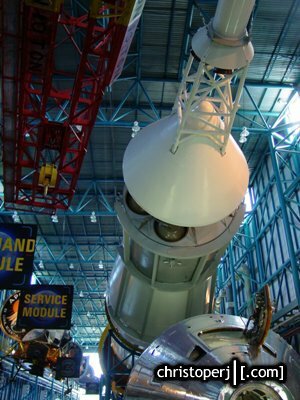 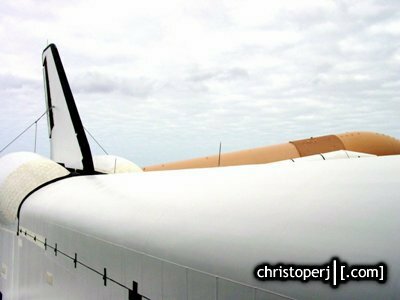 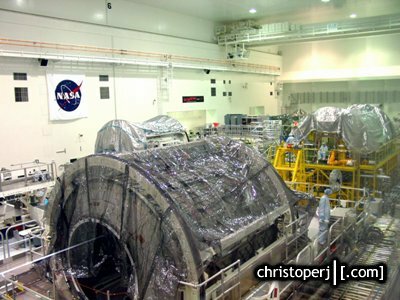 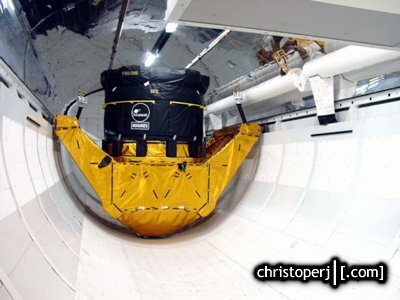 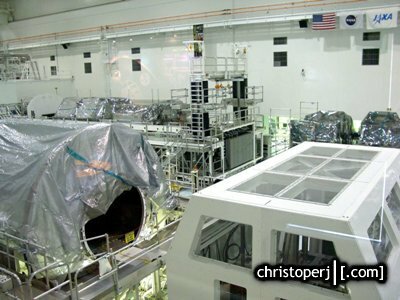 . .
. . .in the vehicle assembly building, they were putting together pieces of the space station (among other things). . .
. . . a mockup of the crawler used to transport the shuttle to the launch pad. 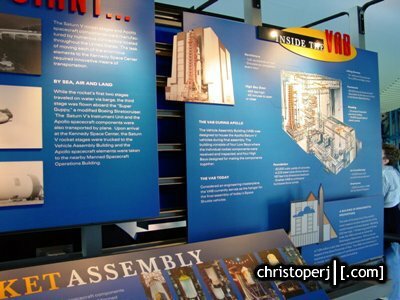 . .
. . .a display showing the inside of the Vehicle Assembly Building. . .
. . . a model of the Skylab space station. 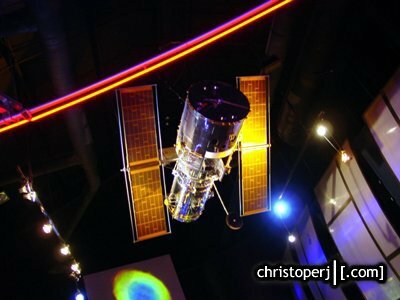 . .
. . .a model of the Hubble Space Telescope. 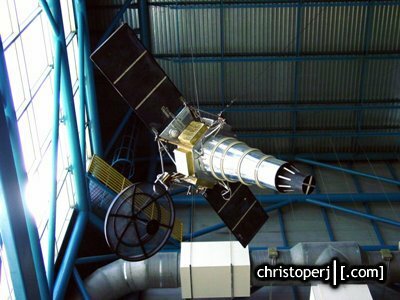 . .
. . .model of the Mariner space probe. 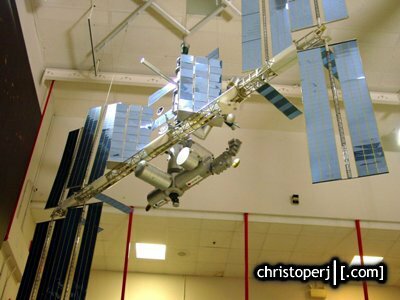 . .
. . .overhead model of the built out International Space Station. 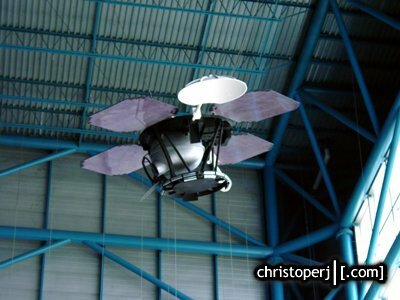 . .
. . .model of the ACE space probe, built to monitor solar winds. 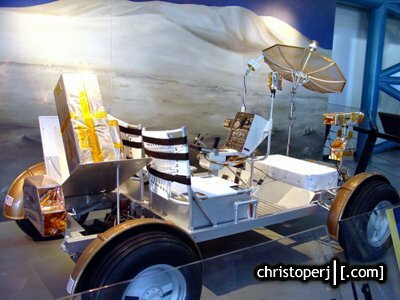 . .
. . .model of lunar rover. 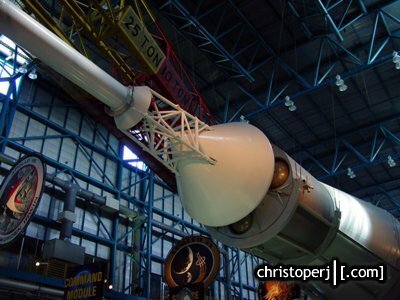 . .
. . .model of the luner lander -- with the stage 3 of the saturn rocket behind. 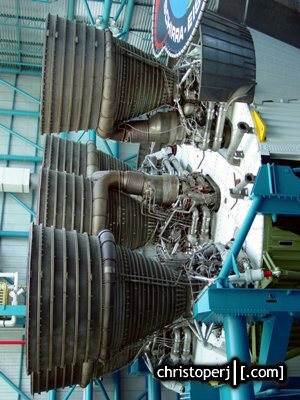 . .
. . .engine side of the Apollo module model. 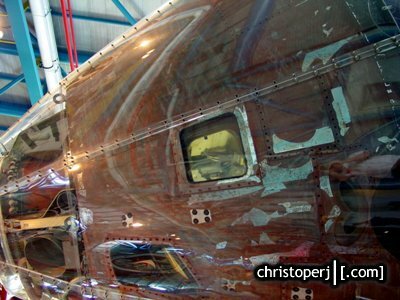 . .
. . .a recovered Apollo module, encased in plastic. 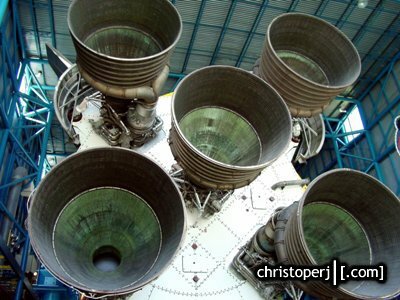 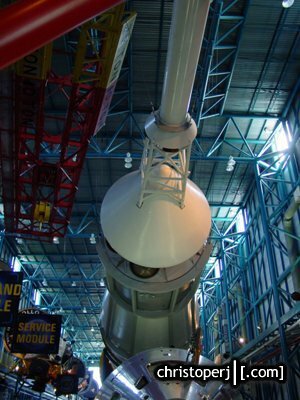 . .
. . .top of a saturn rocket above the Apollo module. 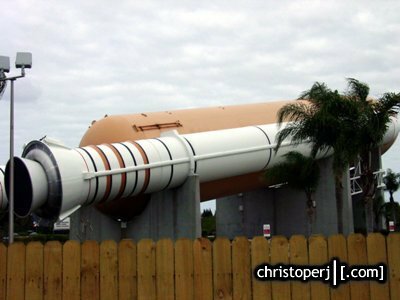 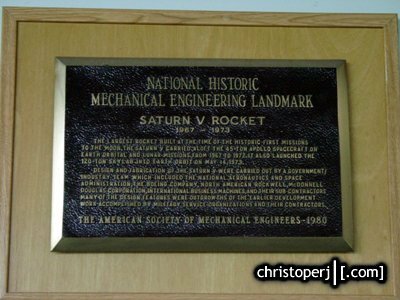 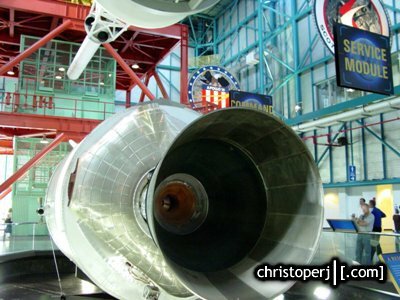 . .
. . .an authentic Saturn 5 rocket from the Apollo missions. 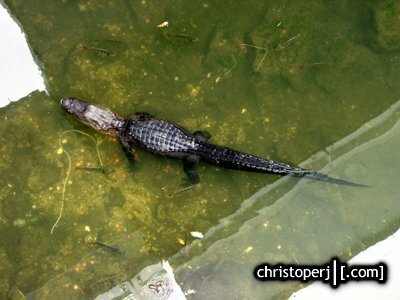 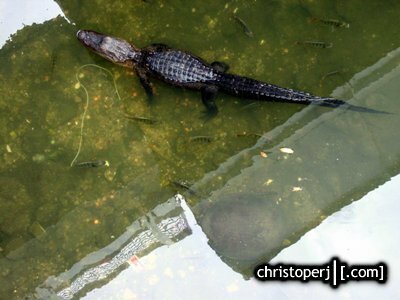 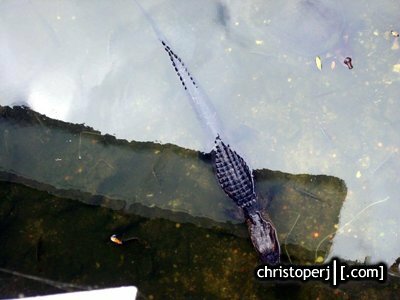 . .
. . .more random aligators in the swamps outside the museum. 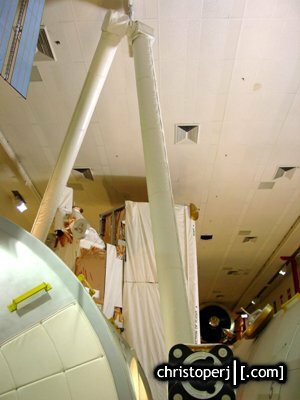 . .
. . .model of the Shuttle robot arm. 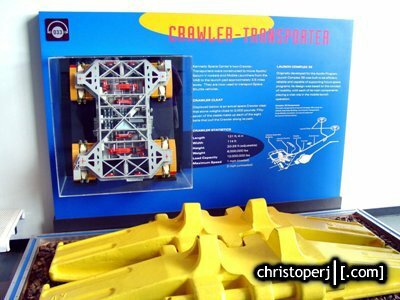 . .
. . .model of the Shuttle cargo bay. . .
. . . outside models of the Shuttle and the external fuel tank. 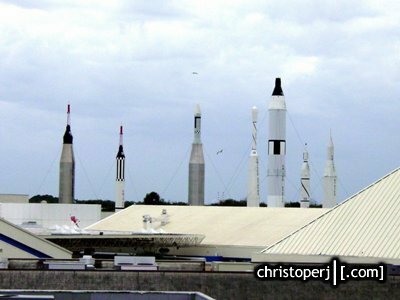 . .
. . .models of various launch rockets. 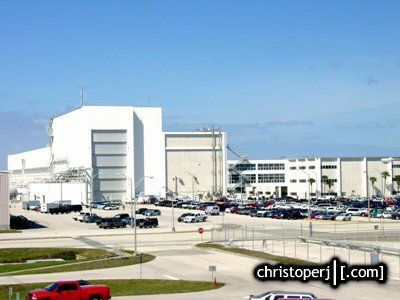 . .
. . .NASA administration building. 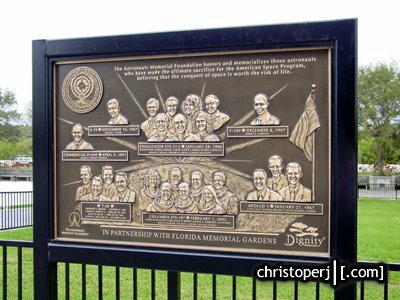 . .
. . .Memorial for Astronauts lost on missions, updated to include those from Columbia. 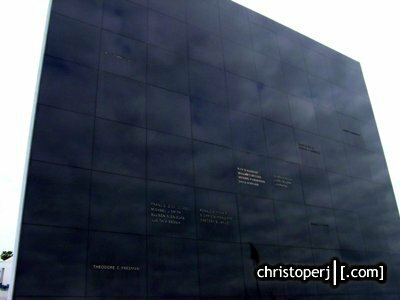 . .
. . .Space Mirror Memorial, also for Astronauts lost.